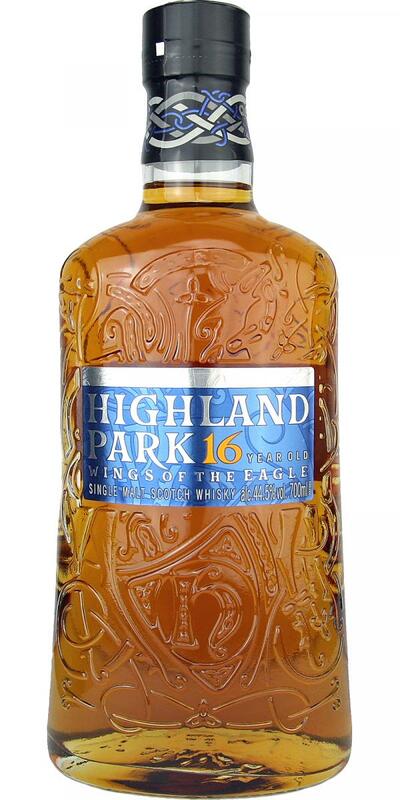 A Highland Park, clearly marked where it came from - which was not the case with some of the more recent bottlings. 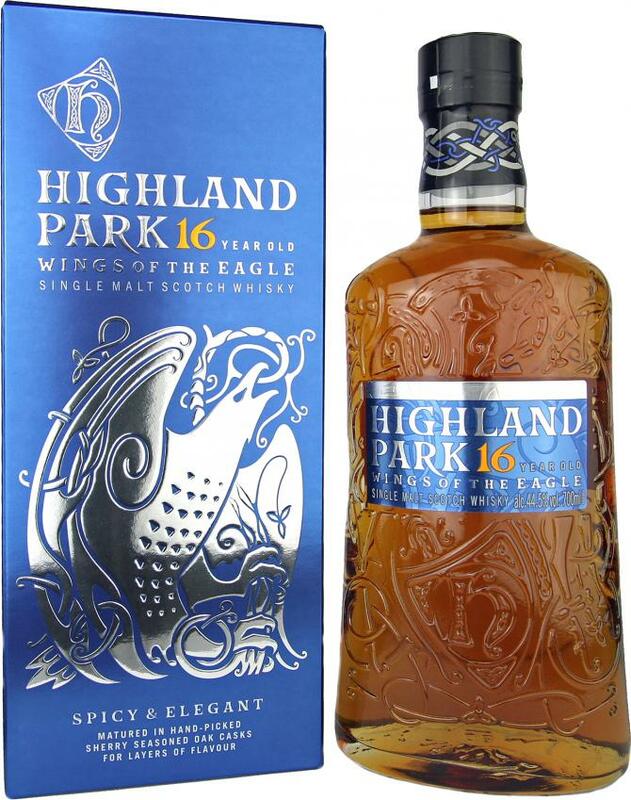 The combination of light smoke and flower or heather scent is, in my opinion, what makes a typical Highland Park. And this whisky actually offers both. Mild wood notes, which, if at all, only taste of smoke, fragrant and spicy honey, apricot and strawberry, with dried dates. The addition of water does not result in any noticeable change. The overall impression is tasty and stately, but not difficult or even intrusive, but of mature, almost elegant restraint. Fruitiness and spice give a very short guest performance, smoky and woody aromas linger a bit, but really only a little longer. A few percent more alcohol would have been helpful at least at this point. In this respect, the addition of water can not improve the overall impression. Fruits, smoke, wood and spices in a pleasant ratio. 85/86. Floral. Exotic fruits, sherry, honey and caramel. Touch of smoke. Creamy. Spicy oak, wood, honey and fruits, mainly orange. 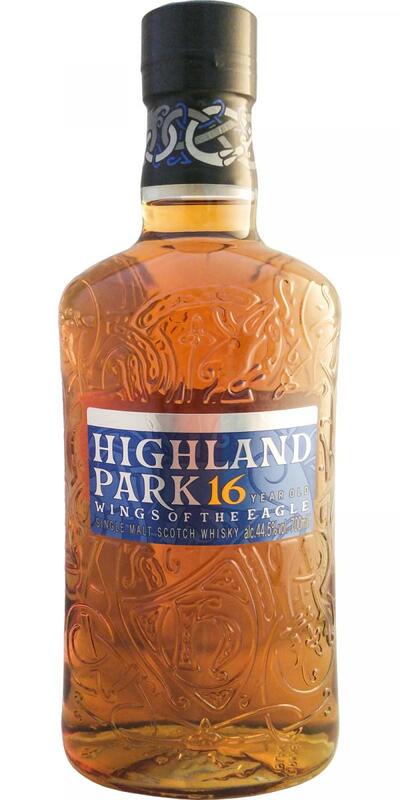 This 16-year-old Highland Park has wonderful aromas of fruit, creamy honey notes, spices and heather on the nose. All in perfect balance and wrapped in fine wood smoke. On the palate, however, there is a dominant spiciness of oak and pepper, leaving little room for the filgrane fruit aromas to unfold. On the finish dry notes dominate again. A dram for the colder days of the year, but from my point of view there is no need of adding any water. Warm and gentle smoke, nicely embedded in a sweet mix of sherry and dried fruit - mainly apricots and oranges. Creamy with honey, caramell and a floral touch, maybe heather. Round and very appealing. Intense start on the palate. Pleasantly spicy with a warming mix of oak, cinnamon, caramelised ginger, subtle cloves and nutmeg. Juicy oranges shine through, accompanied by a whiff of heather and subtle wood smoke. Less sweet than one could have expected from the nose. The finish is medium long, warm and dry with spiced oak, cloves and a whiff of cold smoke.